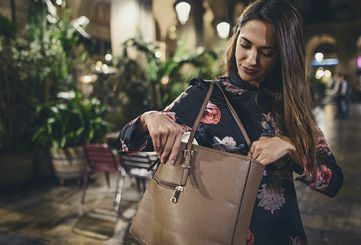 Our bags focus on your needs, using the latest durable, lightweight and waterproof fabrics to ensure the safety of the contents you’re carrying, as well as your comfort. A sprung, mesh back aids the garment that is being worn underneath by not compromising the functionality of that layer. 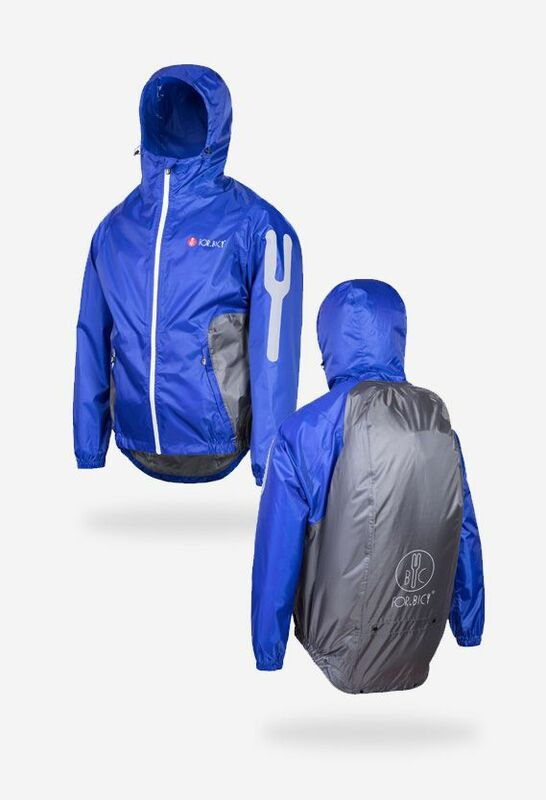 This also aids breathability when the waterproof membrane jacket is on and zipped up, allowing moisture to circulate and move through the membrane. 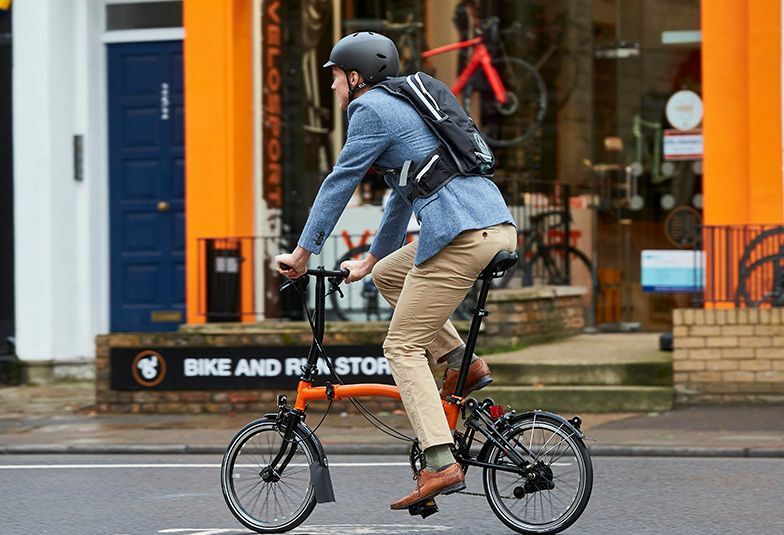 The bag's harness adjustability is designed to give a confident, anatomical fit, even up to the 18L size. 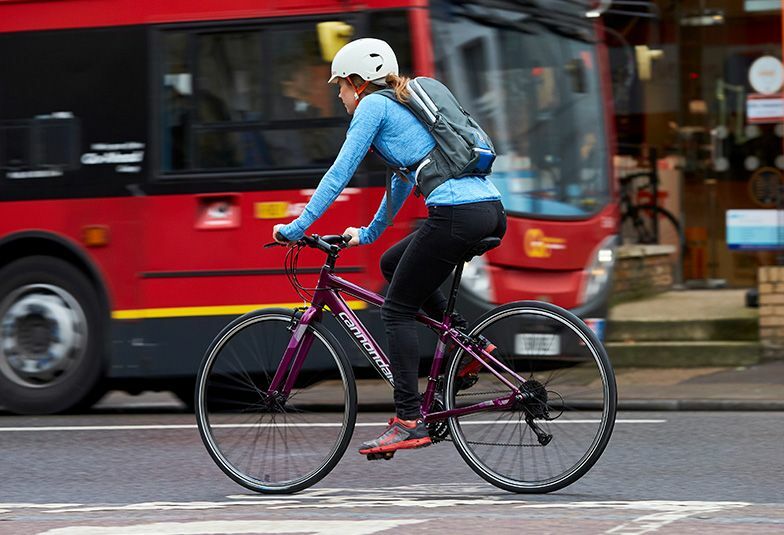 A sliding and adjustable chest strap gives a second anchor point to the waist belt, stopping the bag twisting independently from your body, with built-in kidney support pockets to stabilize the pack further around the waist. Adjustable length shoulder straps fine tune the pack’s position on your back. If you look carefully, you’ll also spot the emergency whistle we’ve built into one of the buckles. The jacket is cleverly stowed away in the top of the pack with no need to open a zip. It can even be packed away wet, as its docking garage is separate from the rest of the bag’s contents. At the bottom of every pack is a zip, which hides a catch-all cargo net. 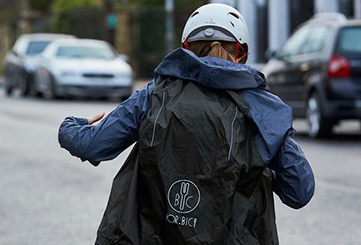 Pull it out and fix it to the top and sides of the bag to create plenty of external storage for items such as a helmet. 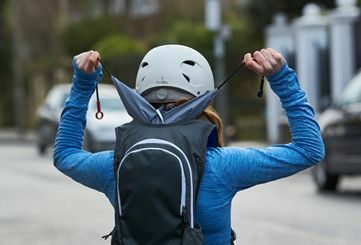 Looking like normal zippers, our low-friction zippers are also waterproof, keeping the rain out but making it quick and easy to get into all the pockets of the backpack when you want to. Our membrane fabric offers above-industry standard breathability, waterproofing and wind proofing, with fully taped seams to ensure 100% waterproofing capabilities. The jacket’s overall weight is super-light, making it even easier to repack into the docking garage. The launch cords are what connect the jacket to the backpack. The red toggle is on the left when wearing and indicates that this is the left sleeve. The cords are housed in the guide tubes, so they can be easily accessed. With magnets on the end, no amount of running, cycling or walking will make them fall out. 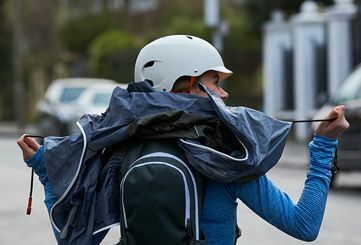 The hood has been constructed to provide safety when wearing; simply look left or right by turning your head and the hood moves with you, giving you perfect, unobstructed vision of your surroundings at all times. 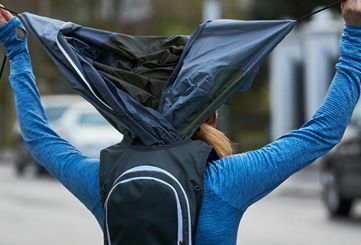 A simple but yet effective way to keep your rear end clean and dry is with the Hang Tail; when it’s wet out, two quick and easy poppers drop an additional panel of fabric down to cover your rear end from the elements. 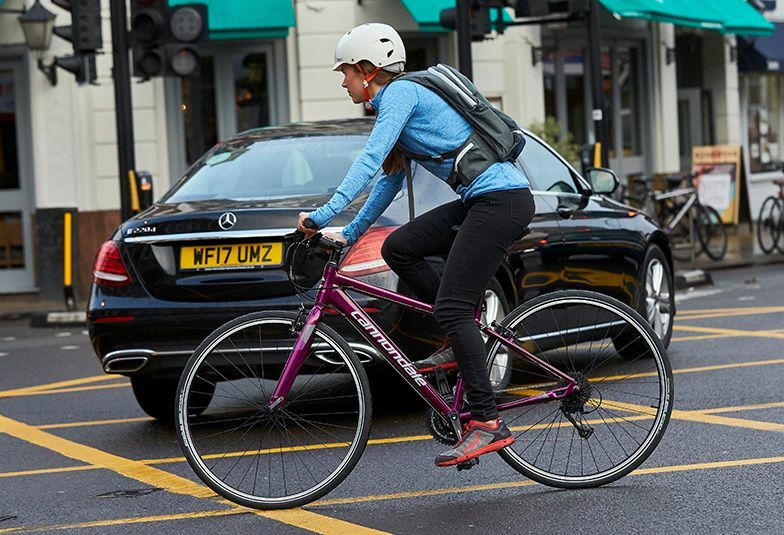 A gel pad does not need to be thick to provide comfort, which is how our 4mm high-tech gel pad can provide the same comfort level as traditional cycling short pads. What’s more, with its dual-sided antimicrobial membrane, it can be used multiple times before needing to be rinsed in warm, soapy water. Your feet are not tube-shaped, so neither should your socks be! Our seamless manufacturing process knits left and right socks that match the shape of each of your feet. 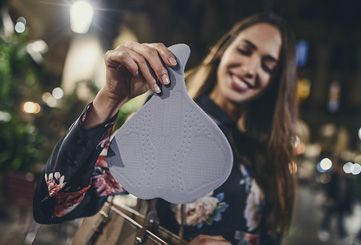 The return is that your skin, sock and insole of your shoe now become one and we can use the blend of fabrics to transport moisture and heat away, giving your feet more comfort when you step up the pace. 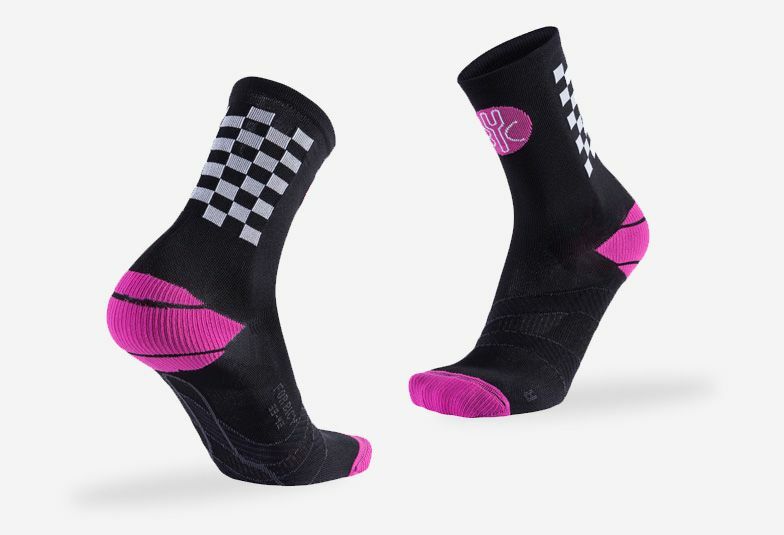 Extra padding you find in a shoe’s heel cup can cause overheating, so we’ve built into all our socks a cushioning support which helps air to move around freely.